Today's housing market is a whole different playing field than it was just a few years ago. Low inventory in Central Ohio real estate is resulting in quick and multiple offers for home sellers. For sellers, this is great news. You might even get several offers over listing price! However, for buyers, it means lots of competition and high prices. Securing financing before you start house hunting will save you so many headaches. This will help sellers take you more seriously, and put you in a strong position to act quickly when you find your dream home. Give yourself plenty of time, but move fast. It might take longer to find a home due to bidding wars and houses literally flying off the market. If you are on a deadline to find a house, you better get started. However, when you find something you like, be prepared to act quickly. This doesn't mean you can't get a good deal. However, if you find something you like, be prepared to present your BEST offer if it's listed at (or around) fair market value. 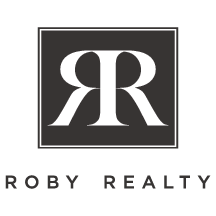 At Roby Realty, our clients come first. Find an agent that is right for you, or call us today at 614-657-7000. 2. Decide on a mortgage -- and get preapproved. It's important to get all your financial ducks in a row before making an offer. Ask your agent to recommend a financing consultant to make the process as seamless as possible. 3. Start house hunting and decide on your "must haves." House hunting can be a fun and exciting process. However, it can also be a bit stressful, as there a lot of homes out there! Your agent will work with you to find homes that meet your needs and are within your budget. Be sure to make a list of what you absolutely must find in a home—and which features would be nice extras. 5. The inspection and beyond. Before closing, it’s important to work with your agent to perform some due diligence. An inspection and appraisal will help know what you are getting into and ensure the home’s value before you complete the purchase. You’re in the homestretch! Your agent will work with you every step of the way to make sure you are prepared on the day of closing. Evaluate how your home looks from the street. Curb appeal is paramount. Cut and trim the lawn and get landscape in top condition, adding new plants and colors as necessary. Consider painting the front door, replacing the mailbox and door to freshen the entrance. Paint any part of the house that needs it. Clean walls and window, inside and out. Repair screens and windows so they show and work properly. Deodorize home of pet, smoking or cooking odors. Make sure home smells fresh and clean. Repair any plumbing leaks and/or replace any unsightly caulking around tubs and sinks. Clean carpets and patch or replace if necessary. Wax floors where appropriate. Organize closets to show off storage space. Remove unnecessary items from kitchen cabinets to show off space. Impress with a spotless and uncluttered kitchen. Clean appliances and keep in good working condition. Make rooms look larger by storing or removing excess furniture. Clean garage and storage area. Open window coverings and turn on lights when home is viewed. If you have house plants, make sure they are healthy and well maintained. Keep all pets and children out of the way during showings. Show off all rooms, including attic and storage space, to their best advantage. Consider hiring a home stager, if necessary. Have a professional Realtor represent you with all of your Real Estate transactions.